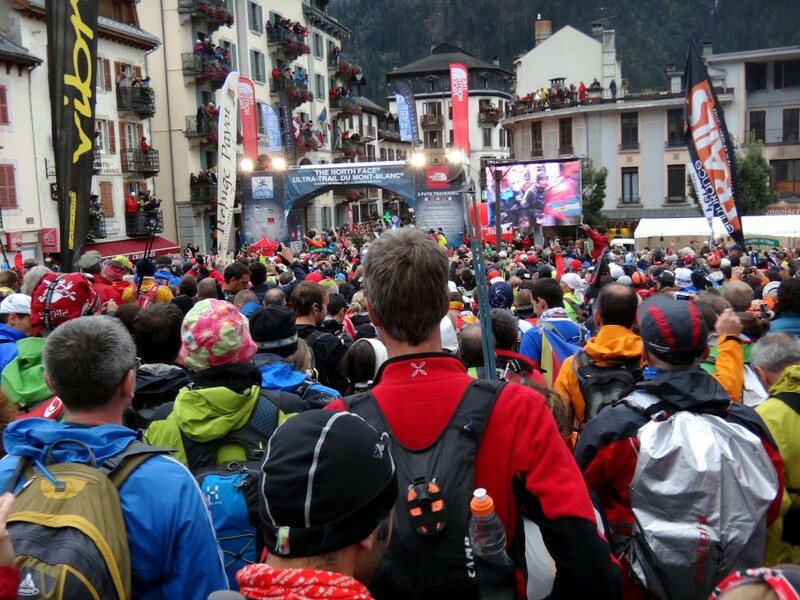 The starting line of the 2012 Ultra Trail du Mont Blanc in Chamonix, France. Even with 2,500 starters, more than double that number signed up for the privilege to run in the race. It’s the time of year again — the time when training schedules are cemented and dreams are shattered by the luck of the draw. It’s also the time of year when social networks light up with hope, lamentations, and the occasional burst of joy — not in celebration of the holidays, but in response to another ever-present and emotional time for many trail runners. It’s race lottery season. It’s often quipped that lotteries are a tax on stupidity. Nowhere might this be more true than inside a growing number of hundred-plus-mile runs that are becoming so popular that lotteries now determine participation. Not only must aspiring racers pay for the privilege of such suffering, they also have to expose their heart and soul to the cold appraisal of random chance. Do you love the Western States 100 more than life? Too bad. Get in line with the other 2,295 applicants. This week is notable in the ultrarunning world because some of the most popular races in North America are drawing tickets — Western States on December 8, the Hardrock 100 on December 16, and others such as the Miwok 100K and Massanutten Mountain Trails 100 are choosing their fields. Other big lotteries are still to come — notably the Ultra Trail du Mont Blanc and Wasatch 100 in January. Many of these events already require qualifying races and a fair commitment before entering. This all but ensures most people in these race lotteries are already preoccupied with the races before they even enter, and in most cases, the odds of disappointment are high. My first foray into the trail running lottery system happened before I was even a trail runner — I put my name in the hat for the 2010 Mount Marathon Race, a 3.1-mile mountain run with 3,022 feet of climbing in Seward, Alaska. I was a decent endurance cyclist and avid hiker, an figured it would be fun. Only later did I learn that the $35 nonrefundable entry fee afforded me a 7 percent chance of getting into the race. A few months after I lost the lottery and denounced the “racket,” I finally hiked Mount Marathon for the first time and realized that racing down a steep scree field would have killed the likes of me. Bullet dodged. 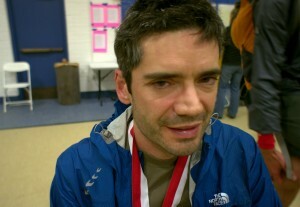 But after Mount Marathon, I decided to swear off race lotteries forever. They were manipulative and, anyway, not really a part of the events that appealed to me — long-distance mountain and snow biking. It was shortly after that I found my way into the compelling and addictive world of trail running. (And, as a newcomer, I feel the need to enter a disclaimer here for anyone in the old guard who is annoyed that people like me are crowding out their sport. I have not read “Ultramarathon Man.” I read “Born to Run” back in 2009 and was not impressed. I was involved in ultrarunning events as a crew-person and supportive friend for years before I decided to try my own luck. End disclaimer.) 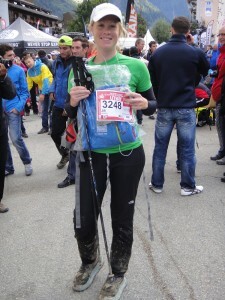 But, because lotteries are such a prevalent part of hundred-mile trail running, it didn’t take me long to enter my first — the 2012 Ultra Trail du Mont Blanc, a 168-kilometer mountain run in France. Jill Homer at the finish line of 2012 UTMB in Chamonix, France. I figured my chances of being drawn were about 25 to 35 percent, and made the decision that I wouldn’t be devastated if I didn’t get in. I had grand backup plans, such as potentially mountain biking the Colorado Trail, and still traveling to Europe to support my boyfriend in the La Petite Trotte a Leon, the “long” version of UTMB. When I did get picked in the lottery, I was quietly overjoyed. What a privilege! This stood to be the toughest single-stage endurance event I’d ever attempted, and I resolved to dedicate my entire year around preparing for UTMB. When race day arrived in late August, a winter-like storm forced organizers to dramatically reroute the course at the last minute, cutting it back to 110 kilometers on muddy, lower-elevation trails above the Chamonix Valley. I felt a wide range of emotions regarding this change, but one of them was that I’d “lost” a lottery — funneled into the race in a year when the event didn’t fit my vision. Delayed disappointment. Shortly after I returned from Europe, the volatile emotional toying of race lotteries really hit home with my all-time favorite race, a hundred-mile winter event in Fairbanks, Alaska, called the White Mountains 100. I first entered this race on my snow bike in 2010, when the race organizer contacted me personally because “everyone entered is from Anchorage and Fairbanks,” and he was looking for at least one token outsider (I lived in Juneau, Alaska, at the time.) The following year, they entered a provision for veterans that allowed me to slip through the quick-filling registration, and in 2012 instituted their first lottery — a hundred or so entries for 65 spots — in which I was drawn. After three years of growing increasingly more attached to the ice-crusted swamps, twisting black spruce forests, whitewashed mountains, quirky community, and warm welcome of the White Mountains 100, I failed to make it through the 2013 drawing. Lotteries had infected what must be one of the most obscure of obscure endurance sports, snow biking. I was quietly devastated. Beat Jegerlehner musters a smile after finishing the 2012 Hardrock 100 in Silverton, Colorado. I crewed for my boyfriend last year in the Hardrock 100, the infamous hundred-mile loop in the San Juan Mountains of Colorado. 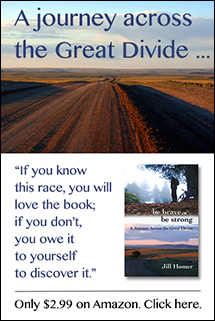 It looked like a beautiful but often hopelessly brutal race, and I tried to temper any desire to toe the line myself. I hiked sections of the course and told myself it would be so much better to visit the region with a backpack, or tour an extensive network of jeep roads on a mountain bike. I looked into the eyes of participants chasing cut-offs at the back of the pack — dark, hollow and haunting — and promised myself never, never, never. Plus, Hardrock had that convoluted lottery, and I swore I was going to swear off race lotteries. But the fire had sparked. A fortress of jagged mountains rose up around my dreams, lined with deep green valleys and high alpine slopes bursting with wildflowers. I began to picture myself as one of those back-of-packers, hunched and hollow-eyed, staring up at the imposing mountains through the ethereal screen of exhaustion. The siren song beckoned me closer. I thought “it can’t hurt to try.” I began to dream as though it could come true. How will I train? What mountains will I climb? What will it really be like to traverse a hundred miles of rugged mountain landscape in a single push? The fire grew hotter, spreading across my adventure scheming for 2013, until I had to admit to myself I felt excited about the prospect. I anxiously anticipated lottery day. And then, three days before the drawing, the odds started to trickle into the public eye. There are 853 people vying for 140 spots, but thanks to the Hardrock weighting system, I’m one of 619 people vying for 35 spots. As a first-time applicant, my own chances fall somewhere in the range of 2 percent. It is also often quipped that lotteries are a tax on people who are bad at math. In this case, the tax is my emotions, which I naively opened up to a near-impossible dream. If I was granted entry into TDG, I would pour my heart and soul into finishing that race. The Aosta Valley has really grabbed me, and it would be such an incredible experience to attempt the circumnavigation in one endurance push. If any lottery lands in my favor in 2013, I’d want it to be that one. As crazy as it sounds to say it to myself, Hardrock would be a most excellent training run.